Now that the weather is warming up and the skies are bright, many of us are coming out of our months-long hibernation period. For most, this could mean more barbeques, patio parties, and general outdoor social revelry. For some, these activities are the perfect excuse to up your selfie game. If you’re a fan of the front-facing camera, this one’s for you! 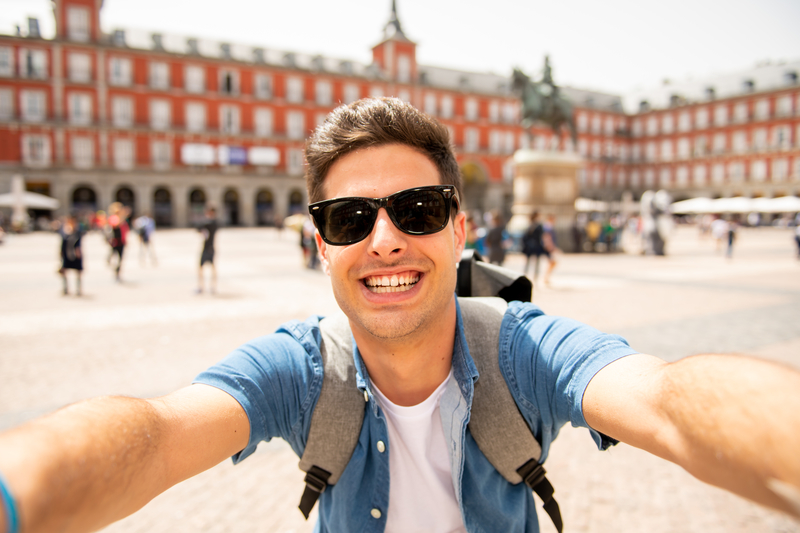 Here are our tips to achieving that perfect selfie smile, every time. Play around with angles and lighting. Once you strike that perfect pose, move the camera around and see what you like. Honestly, this can be one of the most fun parts of a selfie! Generally speaking, pictures are the most flattering when taken at a downward angle. Try it out and see how it works for you! Now that you’ve found the perfect position, it’s time to flash your smile. Right before the camera is about to go off, think of something that makes you genuinely happy. Is it that funny cat compilation video you watched on Facebook? A joke that your best friend told you? Focus that joy into the moment and use it to fuel your beautiful, natural smile. If you haven’t noticed, our favourite selfies are the ones that feature a big, bright smile. If you want to keep your followers double-tapping, take good care of your pearly whites. Ensure you are brushing at least twice a day and flossing nearly as much. Clean teeth will do wonders for your confidence and your pictures. Have orthodontic appliances like braces or aligners? Don’t let that hold you back from bearing your smile! Even celebrity heartthrobs like Angelina Jolie and Tom Cruise have rocked the metal mouth proudly. However you want your pictures to look, your smile will be the focal point of the image. While we may not be Instagram guru’s, we do consider ourselves smile experts. Let us know how we can help your teeth, your confidence, and your social feed by contacting us today!